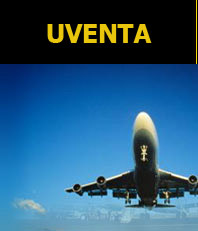 The Joint-Stock Company "Yuventa" was founded in 1993. 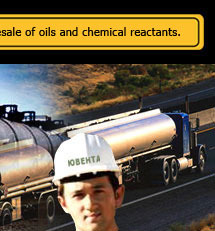 More than 16 years of successfully work in the sphere of industrial supply of the enterprises, specializing on deliveries of industrial chemistry and special paint and vanish materials, an activity direction - wholesale-retail trade of petroleum products (TC-1, PT, various oils and greasiness) production. The Joint-Stock Company "Yuventa" successfully co-operates with many Russian oil and separate manufacturers. Wc have information on presence of a resource of production on the entire largest oil refining factories. Over the last 10 years our company was improved due to the highly skilled personnel having experience of business cooperation and deliveries with partners, both in Russia, and in the CIS countries, India, China. Wc are reputed as one of the most reliable partners. We prefer the advanced approach to each client, considering specificity of the enterprise. We invite to efficient cooperation. The Joint-Stock Company "Yuventa" is an independent trader in the market of wholesale realization of mineral oil in the Russian Federation. The company markets the whole spectrum of light and dark mineral oil with delivery possibility in any part of Russia. The main objective of the company's work is professional, qualitative, responsible and operative granting of services in the wholesale market of mineral oil. The professional approach to each client - the distinctive feature of our organization - allows us to provide high-quality service to existing clients and gain new ones. 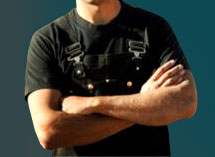 The basic personnel of the company constantly pass further education courses which raise their professional level. New members of our collective have passed the test for conformity to high corporate standards. Honesty, openness, dynamism, professionalism are the main principles of our company which allow her to achieve the aimed results. In our company there are no casual people - each our employees is not only a highly qualified expert, but also the person working with heart and soul. We consider that exactly therefore we are able to solve problems of any difficulty as the whole company harmoniously works on achieving the needed results. The geography of sales in the field of electromechanical engineering, machine-tool construction, motor industry, gold mining, jeweler branches is presented by deliveries of cyanides from Germany and Russia, sodium, potassium, copper, zinc of accompanying chemistry and covers a number of the countries of the near abroad and almost all regions of Russia. The general director of Joint-Stock Company "Uventa"